Mich & Jo: New additions to the "All Natural" series! New additions to the "All Natural" series! One of our current favs! We love these classy drop earrings with interesting wire work. 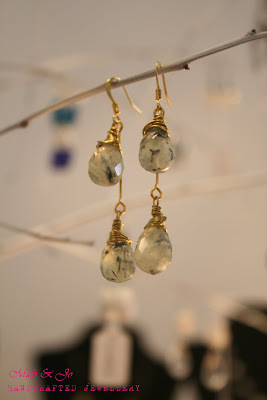 Serpentine stones with gold plated findings. 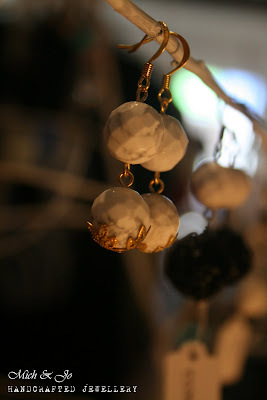 White howlite stones with gold plated findings and bead cap.